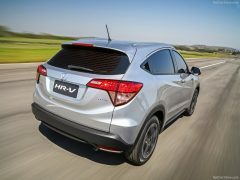 Honda’s much talked about compact SUV – the HR-V or the Vezel, as it is known as in some Asian countries, was spotted in Malaysia recently. From the looks of it, the model was undergoing a shoot for its TV commercial, which in turn points towards an imminent launch in the country. 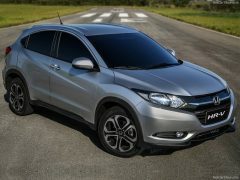 According to local media, the Honda HR-V will be launched in Malaysia in the first quarter of 2015. 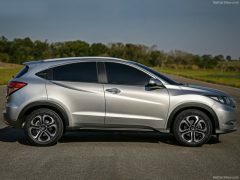 The Honda HR-V is based on the same platform as the Jazz and its styling is a mix of hatchback and SUV with elements such as a sloping roof line, black plastic cladding for the wheel arches, etc. The oversized tail lamps look a bit odd on what is otherwise a very smart looking car. In Malaysia, the car will be offered with two engine options, the first of which will be the same 118 bhp and 145Nm 1.5 litre four cylinder petrol motor that does duty on the Honda City and the Jazz. The other will be a bigger 1.8 litre four cylinder petrol producing 137 bhp of power and 169Nm of torque. Both engines will be offered with either a 5 speed manual or a CVT with paddle shifters. 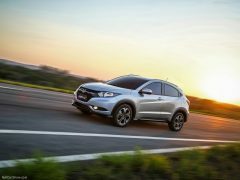 Showcased at the Sao Paulo Motor Show in Brazil last month the Honda HR-V is a crucial product for the company, especially in Asian markets. However, it has decided against launching it in India. 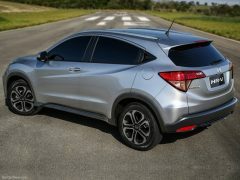 The compact SUV is based on the new Jazz’s platform which also underpins the Honda City sold in India but investigations revealed that the company would be unable to price it competitively even though both the City and the Jazz are or will be manufactured in India. 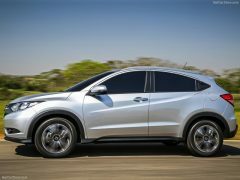 This has prompted the company to change directions and work on an all new Honda compact SUV based on the Brio’s platform, which also underpins the Amaze and the Mobilio. The company will be relying on heavy localisation to keep costs in check. 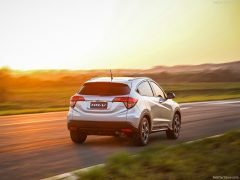 Launch of the Brio-based compact SUV is expected to take place some time in 2016, with an estimated target price of Rs. 6-10 lakhs. 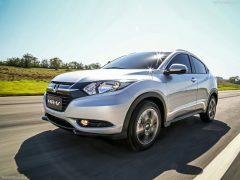 Stay tuned to CarBlogIndia for more Honda HR-V Malaysia launch details.